Join during Holy Week as we celebrate the Gospel - the good news of how God in His love and mercy chose to save us from ourselves by dying for our sins and then gloriously rose from the dead. Come and celebration one or all of the events below! We are designating the Easter Sunday offering to be an offering for the poor, building the service around the idea of bringing life to people around us as an extension of the life we have received from Jesus. Work One Day between April 1 through April 20. Give that day’s wage on Easter Sunday. Your One Day changes their everyday! 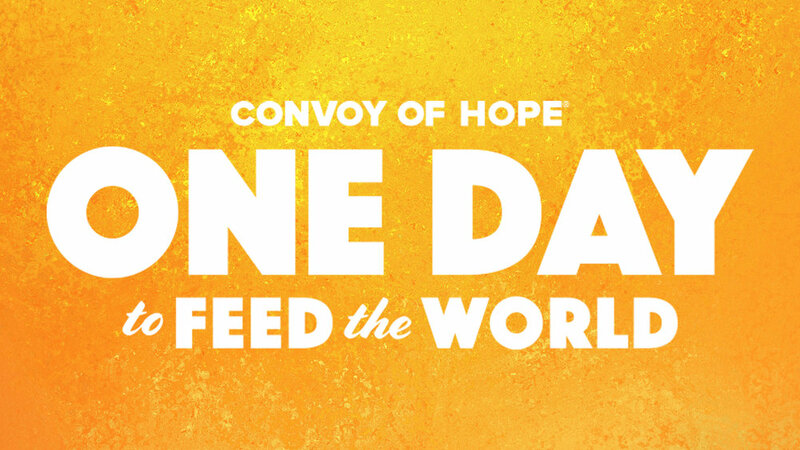 To hear more about this campaign you can listen to Pastor Dennis Webber interview Jack Risner from Convoy of Hope and kick off our Easter Series campaign. Go to parkwaycc.com/sermon and click on Part 1 of the Easter Service.